On July 9, Ambassador Liu Xiaoming visited the University of Huddersfield, UK and attended its Graduation Ceremony 2018. 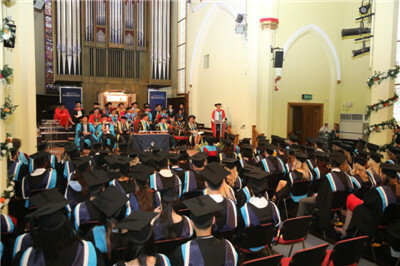 Over 400 faculty members, students and their family were present. 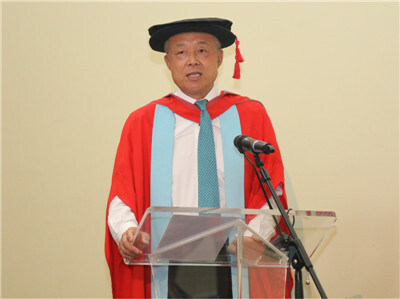 Ambassador Liu delivered a speech entitled Devote Your Youthful Vigour to China-UK Cooperation at the Graduation Ceremony. He first extended his congratulations to all the graduates on completing their studies and embarking on a new journey to pursue their dreams, noting that it was the moment to review what they have achieved, appreciate the friendship that they have built over the years, embrace changes in their life, and welcome a bright future. The Ambassador encouraged the graduates to embrace the world with an open mind and inclusive attitude, open their eyes to a changing China and promote cooperation with an enterprising spirit. He said, "I hope you will give full play to your youthful vigour and intelligence to go after your dreams and achieve great feats that is worthy of our times. I hope you will join hands to write a new and more splendid chapter for a community with a shared future for mankind." 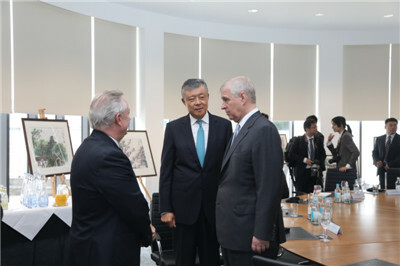 Before the ceremony, Ambassador Liu attended the luncheon hosted by HRH The Duke of York, Chancellor of the University of Huddersfield, and Professor Bob Cryan CBE, Vice-Chancellor of the university, and exchanged views with them on China-UK education and the cooperation on innovation and startups. 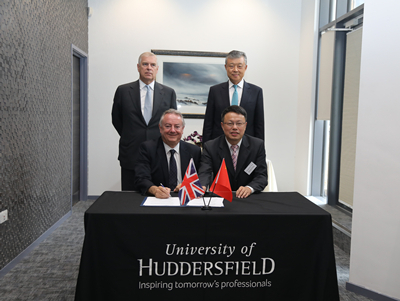 He then joined The Duke to witness the signing ceremony of the Agreement on Joint Education Programme between Fujian Normal University and the University of Huddersfield. 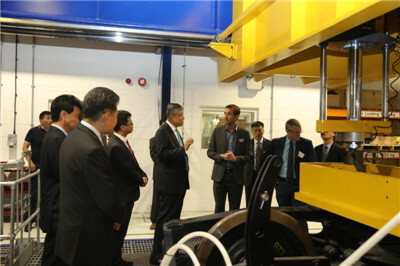 After that, accompanied by Professor David Taylor, Pro Vice-Chancellor of the University, and Professor Xiangqian Jiang FREng, Fellow of the Royal Academy of Engineering, Ambassador Liu visited the Centre for Precision Technologies (CPT), the Institute of Railway Research (IRR) and the Centre for Electron Microscopy and Materials Analysis (EMMA) to learn their research achievements and their cooperation with China. The Ambassador also met with the representatives of Chinese scholars and students of the University and encouraged them to continue working for China-UK education exchanges. The University of Huddersfield, founded in 1841, is located in West Yorkshire with nearly 2,000 faculty members and staff and 20,000 students. It is strong in Precision Engineering, Physics and Medical Care. Its Centre for Precision Technologies ranks the top in the UK. In 2017, the University won the first Global Teaching Excellence Award. Currently, there are over 1,000 Chinese students in the University. In 2006, Huddersfield and the University of Shanghai for Science and Technology established the Sino-British College. It is working with Fujian Normal University to develop a Joint Education Programme.